"That name looks like an emoticon. 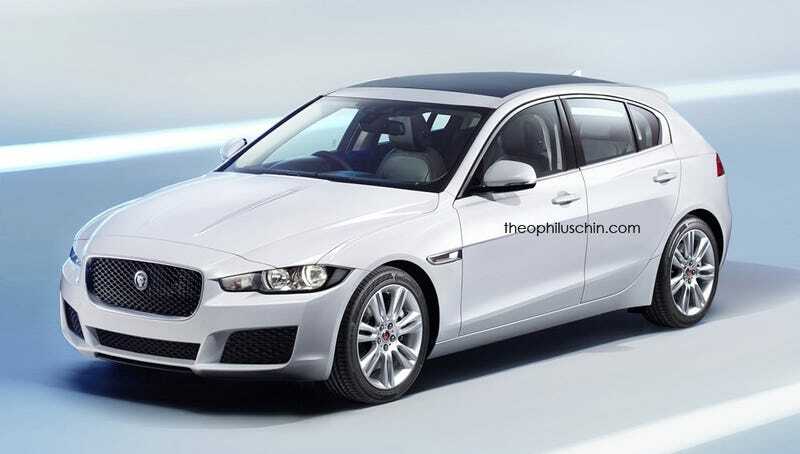 Anyway here I imagine a compact Jaguar XD hatchback to take on Audi A3, BMW 1-Series and Mercedes-Benz A-Class. I'm keeping it rear-wheel driven." This could be a genuinely good car that Mr. Chin has thought of. It appears to be based on the XE's aluminum platform, sharing many styling cues and being rear-wheel-drive. Mercedes-Benz, Audi, and BMW all currently offer cars of this size across the pond; Jaguar should take this opportunity to jump into that market if they want to increase their global sales tally. If an XD R variant was produced, Jag would have a proper hot hatch to take on the Mercedes A45 AMG, BMW M135i, and Audi S3. Tell us what you think in the comments section below, and be sure to check out Theo's work on Twitter (@TheophilusChin) and on his website, TheophilusChin.com.